Today we present some new architectural renderings. 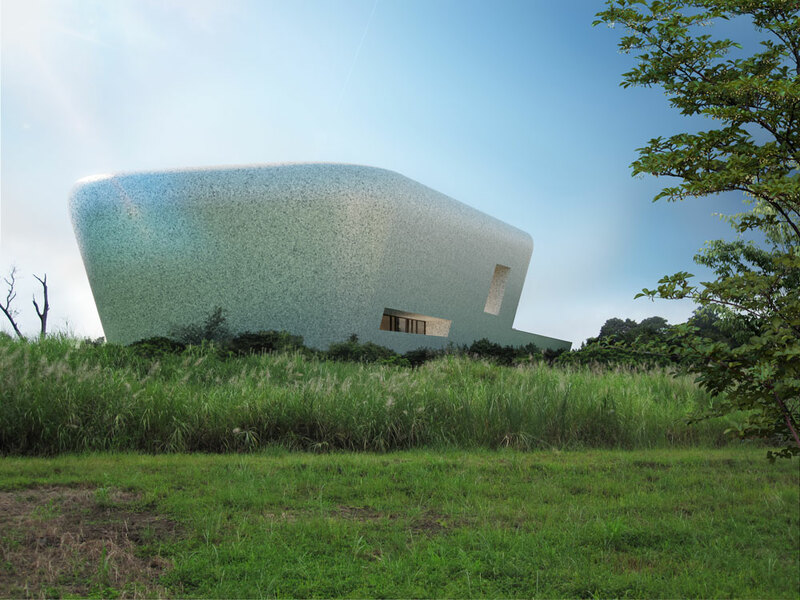 This time they belong to the Panamanian museum project of the Caja de Seguro Social (CSS) that will be placed in the new health city in Panama designed by the architectural firm TASH. The project is located on a promontory of the city being visible from the famous Panama canal. The building wants to become a landmark of the city and will house medical equipment of yesteryear which intends to tell part of the story of the CSS. It is a building with two floors and sinuous shapes with a central courtyard. “Trencadis”, a common material in the works of Gaudí, is used as a facade material. It is ceramic tiles sliced into similar sizes and placed with a small joint. Thus, it is intended that the facade creates a visual sensation of continuity. Two exterior architectural renderings of the building were commisioned. The first 3D computer graphics should show the building access. 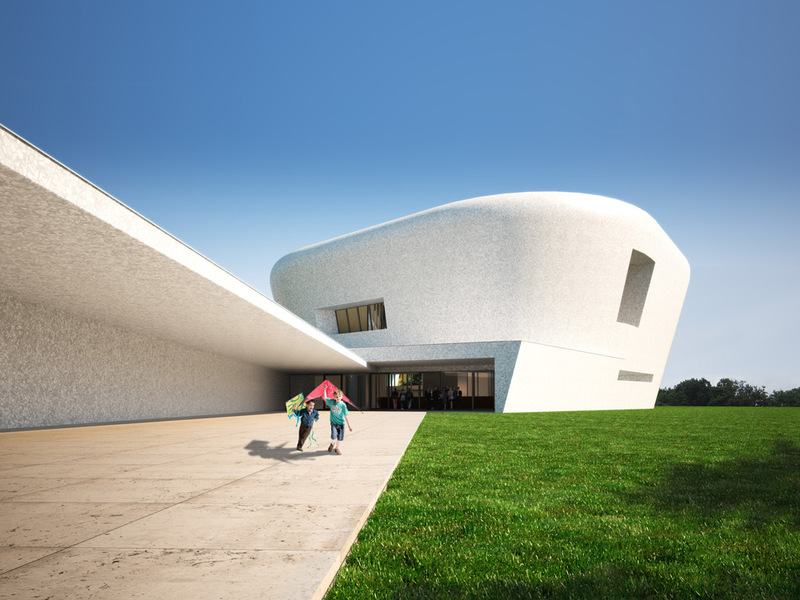 In the second architectural rendering, the client wants to show the building located at the top of the hill. According to the client’s requirements, the architectural rendering should have been during the day and with a cloudless blue sky that contrastase with the green vegetation of the environment. The client provided photographs of the place that were used to perform the photomontage incorporating our 3D model. The project is in the design phase so it is possible that in the coming months some changes with respect to the initial idea were expected. We hope to be able to show you the progress of the project.